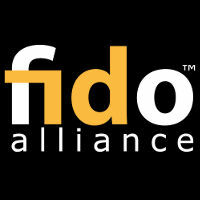 The Fido Alliance has added new NFC and Bluetooth Low Energy (BLE) transport protocols to its Universal Second Factor (U2F) authentication specification. “With these new transport specifications, Fido U2F is appropriate for mobile and wireless applications and devices that do not have a USB port,” the organisation says. “The U2F Bluetooth transport specification allows the creation of special-purpose BLE U2F devices that require just the press of a button to authenticate to an online service. In addition, phones and peripherals, which consume more power, can be programmed to act as U2F devices using either BLE or Bluetooth Classic. Launched in 2013, Fido (Fast IDentity Online) is an open security authentication concept that aims to allow users to replace passwords with a range of authentication methods, including NFC and biometrics. It published final drafts of version 1.0 and U2F specifications in December 2014 before announcing NTT Docomo as the world’s first mobile network operator to deploy the authentication throughout its network in May.